Kitty Rambles A Lot: Coats and jackets and cover ups, oh my! Autumn and winter coming means one of my favourite things... layers! I love layering. I never really 'got' layering when I was younger, but now I am all about it. And I can't wait for it to get cool enough to do it all the time. A lot of plus size gals worry about adding too much bulk with coats like this, but honestly, I couldn't care less. I love how they look, I love furry coats, and they are so snuggly and warm! The duck egg colour of this is just lovely, and a waterfall jacket is one of my favourite styles. This could instantly dress up a simple outfit. Fringing and faux suede? You know I'm in love. 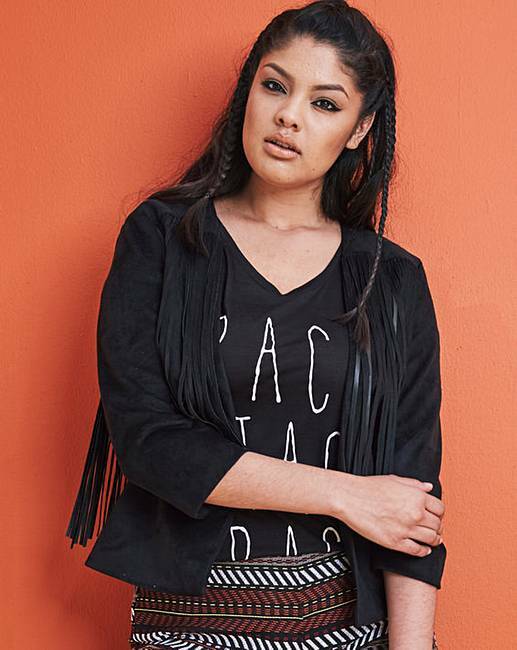 Carry festival fashion over into the autumn with this rock chick look. The fringing goes the whole way round the jacket. THE WHOLE WAY ROUND. Autumn doesn't have to mean monochrome! The bright red of this jacket and the longline cut are stunning. 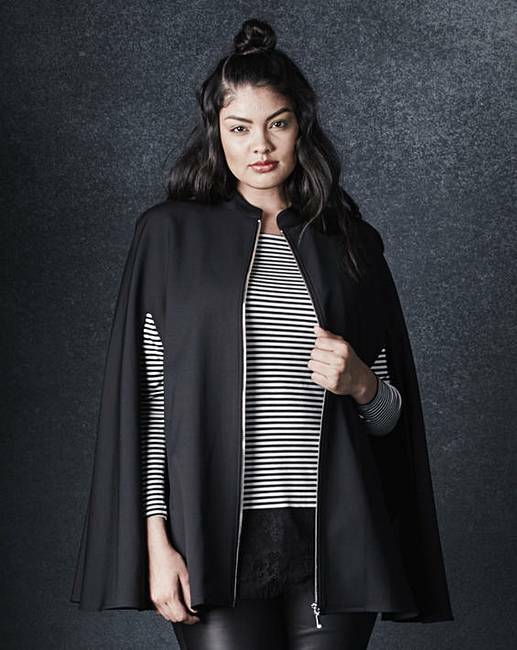 I've seen cape jackets in straight sizes for a little while and had been dreaming that someone would make a plus size version. And this classic black piece from Simply Be has answered all my wishes! Classic, striking and absolutely gorgeous. What are you lusting after? Send me links!